Yay, it’s Tuesday! I haven’t told you yet, but I am currently doing an intensive training course at Santa’s. Me and him have many ideas of printable games, so I am going to share them with you. Today, we realised place mats. Great to dispose on the children’s table during the holiday season or if you are going to a restaurant and the wait is too long. Here is something to keep them entertained for a little while! There are 3 different ones, for children between 3 and 8 years old. 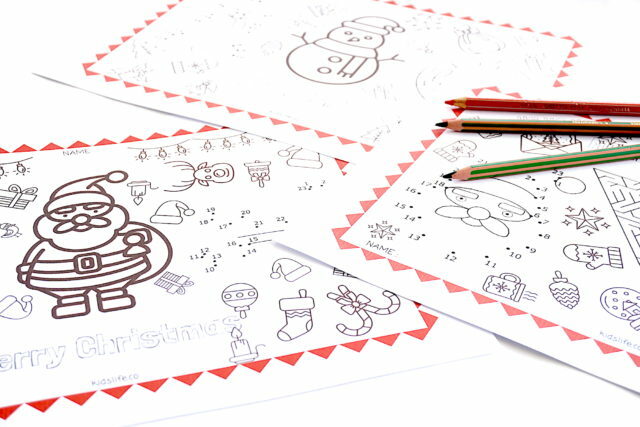 You can choose a place mat according to your child’s age or just print the 3 of them to vary the pleasures and keep them busy a little longer. 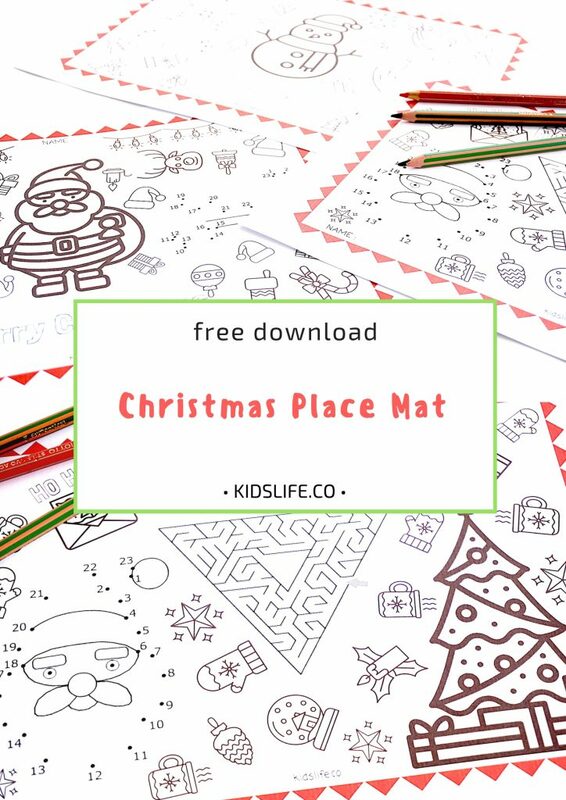 My sons loved creating these place mats so much that I decided to make 3 new ones that I will include in their Advent calendar. As it is a surprise, they haven’t seen them yet. My oldest son, in the meantime, has decided to create some for his brothers. If you want to download the place mats, you just need to log in via Facebook or to type your email address below. You will see that there is one file per place mat, it is up to you to choose the right one for your child. So, if at lunch you don’t know how to entertain them while you are busy cooking, this activity is the solution! See you soon for more games and as Santa Claus would say “Ho ho Goodbye”.